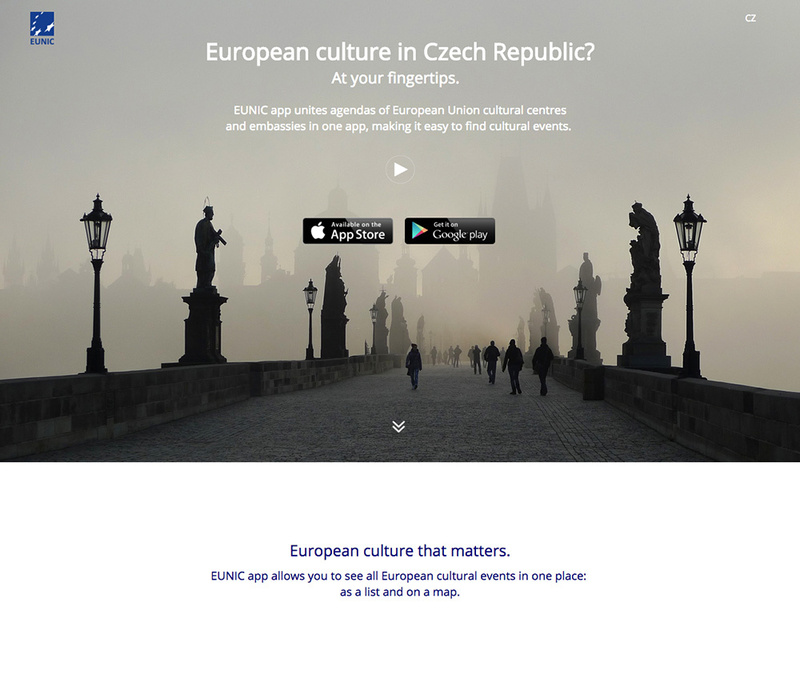 The European Union National Institutes for Culture created this click through page to promote their mobile app. The app curates cultural events and news in one central location. The entire purpose of the EUNIC app landing page is to prompt downloads in the App store.